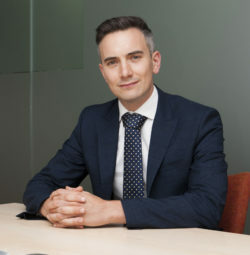 Luke Tryl has been Director at Corporate Strategy at Ofsted since February 2017. In that role he is overseeing the development and implementation of Ofsted’s strategic priorities, as well as the organisation’s research function and external relations. Before Ofsted, Luke was Special Adviser to Nicky Morgan at the Department for Education and he has also been a Director at Public Policy Projects an independent think tank, Head of Education at Stonewall and an Education Researcher at Reform. The Director, Corporate Strategy oversees the development and implementation of Ofsted’s strategic priorities. He is accountable to the Ofsted Board for the delivery of strategic objectives. The Director of Corporate Strategy also leads on Ofsted’s engagement with senior stakeholders, cross-government relationships, academics and policy makers to make sure the way Ofsted works is informed by their evidence. The Director also manages Ofsted’s research and evaluation function, ensuring that insights from inspection form the basis of research reports that inform policy and practice.